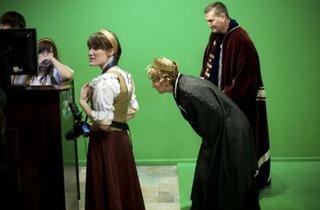 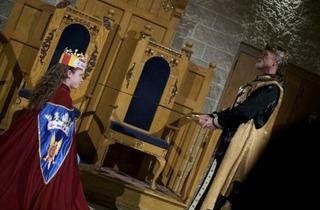 We take a family of five from Cicero to check out the knights, horses and falcons at the long-lived Schaumburg castle. 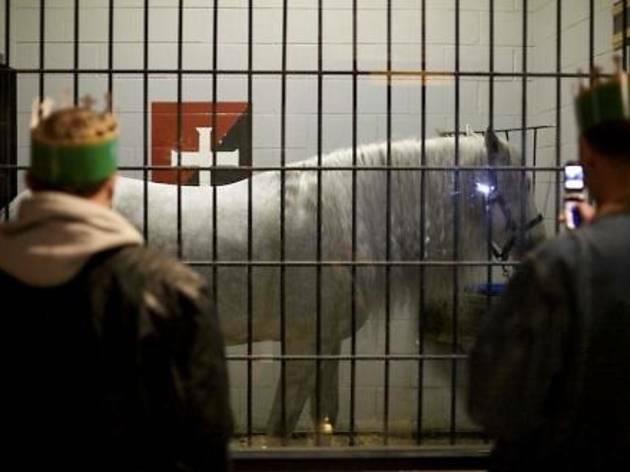 The greeting just inside the entrance is not what most people would expect. 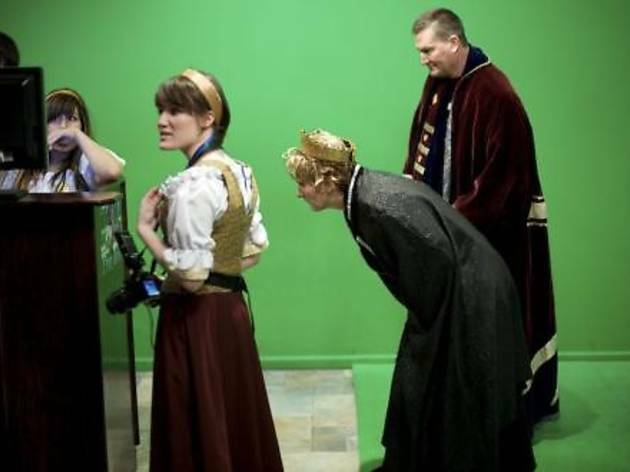 “Hello, my lord,” says a friendly guy behind the desk. 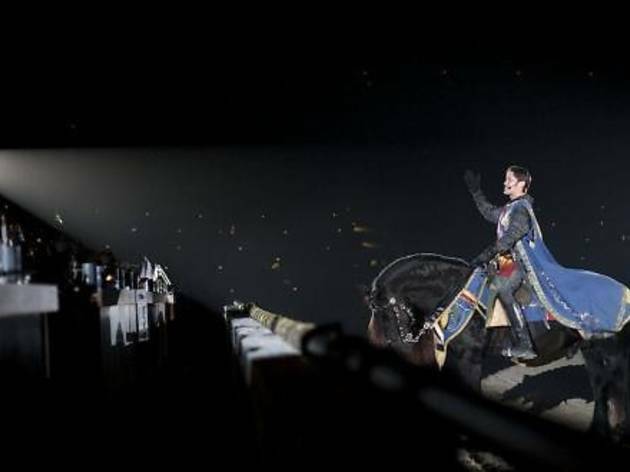 So begins the time warp—a crazy, anachronistic ride into the long-ago era of kings, princesses and knights on horseback. 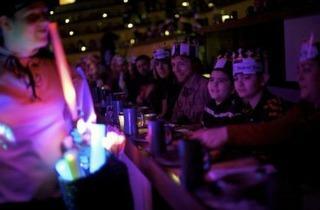 We’re at a dinner theater/sporting event like nothing else: Medieval Times. 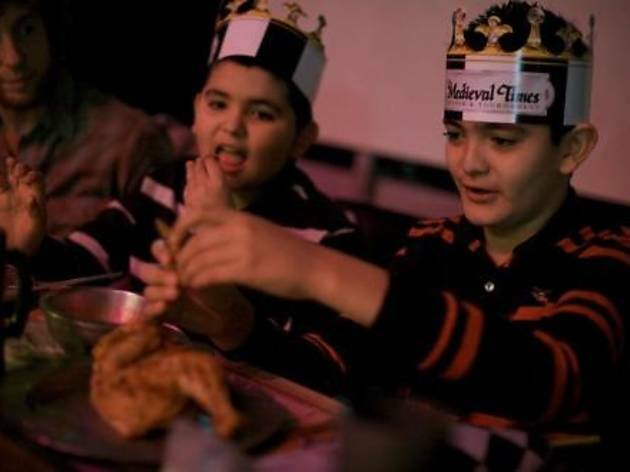 He and his wife of 13 years, Yuridia, now live in Cicero, where they’re raising their three sons—who are already grinning as they gaze around this cavernous structure, which opened in 1991, long before any of them were born. 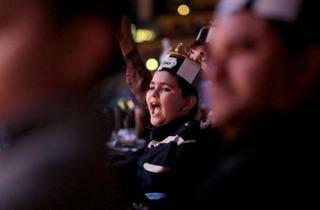 “I’m so glad we came!” says ten-year-old Jairo, the middle son (and easily the most exuberant). 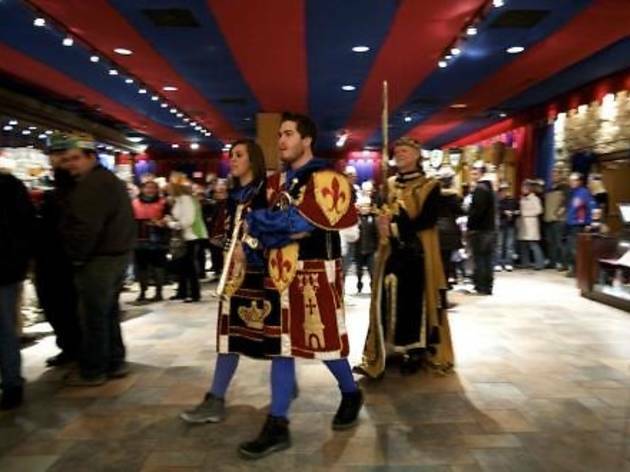 After retrieving our tickets, everyone gets funneled toward a line of friendly greeters who, amid another chorus of “m’lord” and “m’lady,” hand everyone a paper crown. 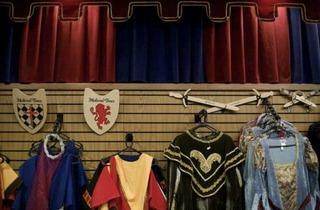 The colors we sport identify our impending allegiance to a particular knight. 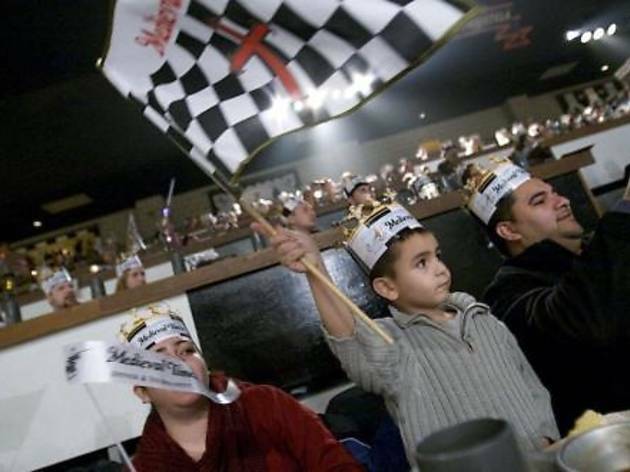 (We’re Team Black & White.) 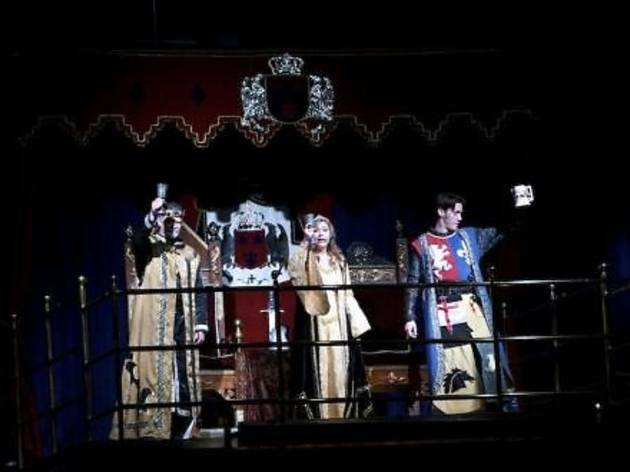 Then we’re ushered into another room, where everyone gets to meet (and pose for pictures with) the dashingly handsome and stunningly garbed Lord Chancellor. 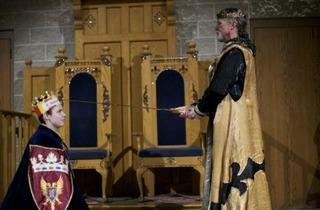 Turns out, that title is 11th-century jargon for MC. 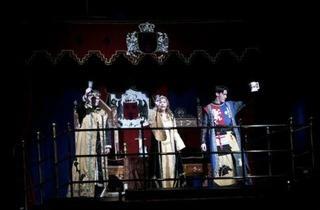 Soon our Lord Chancellor—really, actor Shawn Block of Palatine—reappears on a balcony to explain how the rest of the evening will work: Six knights, six cheering sections; don’t be rude with your cell phones; respect the animals, etc. 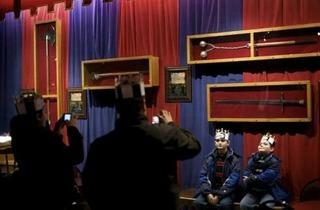 He also gently ribs the few dopey dads who still insist on wearing their baseball caps instead of their crowns. 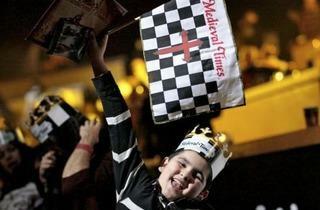 Otherwise, there’s an impressive 95-percent crown compliance. 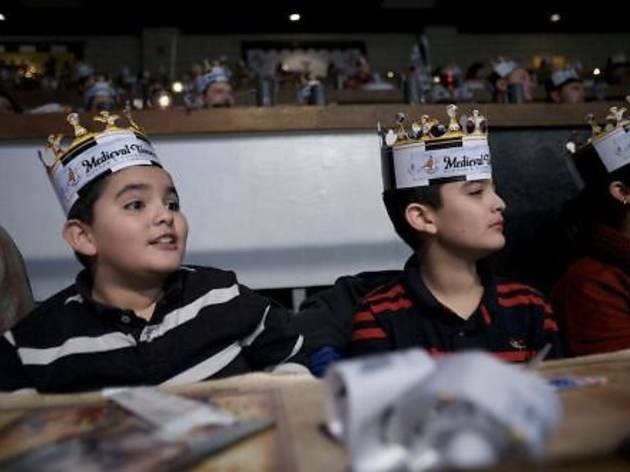 Inside, we take our ringside seats with the Saucedos. 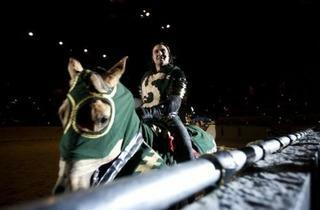 The audience sits on all sides of a football-style arena, whose sand floor belies the equestrian stunts to come. 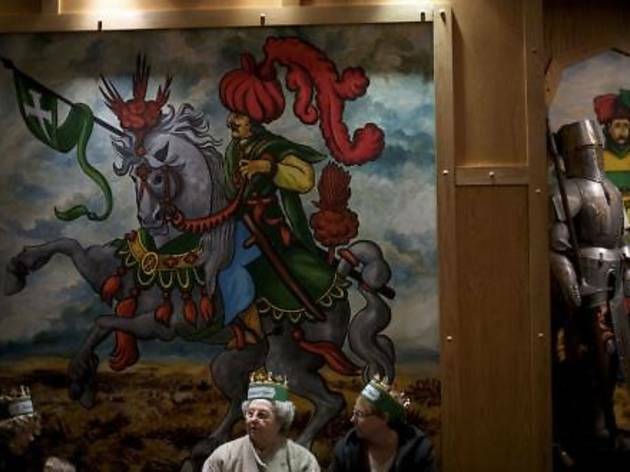 We soon get the first course of our meal—“Dragon soup, made with dragon tails and dragon scales,” chirps our friendly server, though it’s really a tomato bisque. 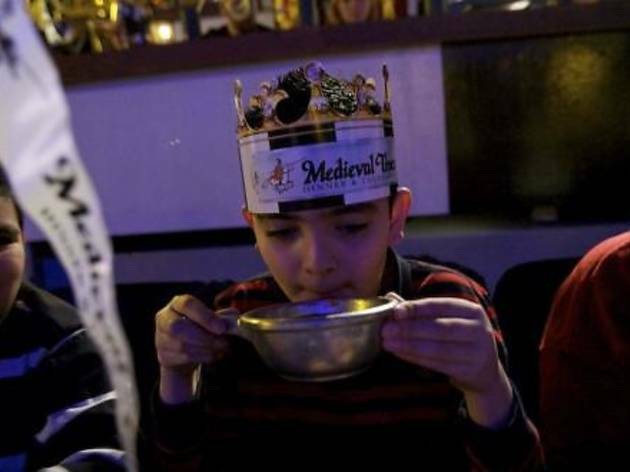 “It tastes like spaghetti,” says 11-year-old Isaac, who happily cleans his bowl. 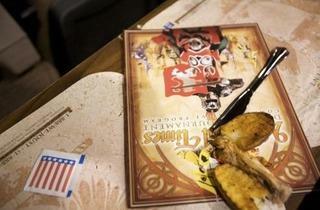 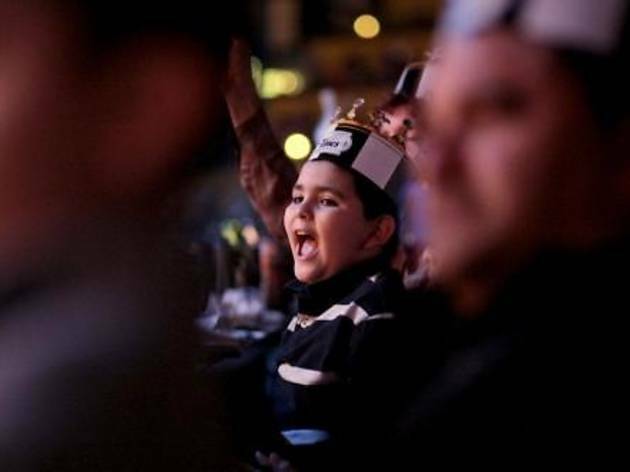 Jairo is too excited to eat much, especially once the show begins in a swirl of smoke and dramatic music. 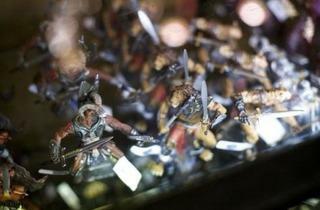 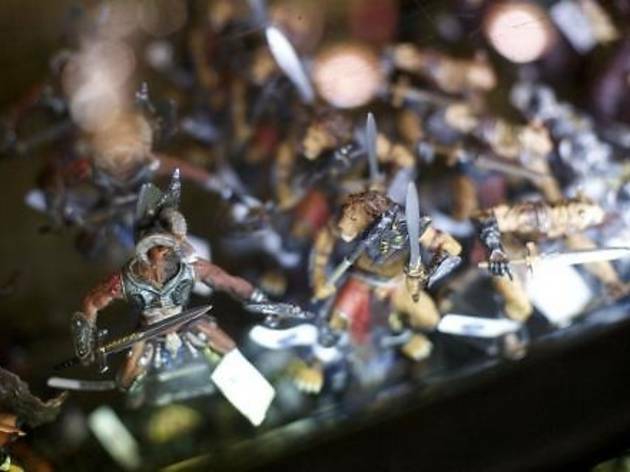 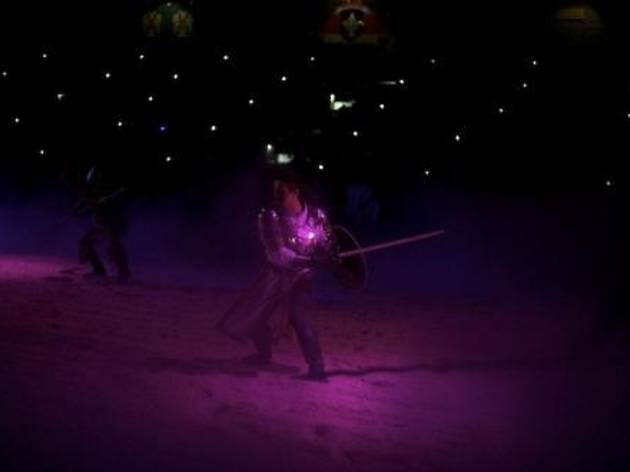 Soon, elaborately costumed knights and horses appear. 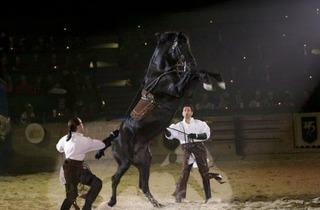 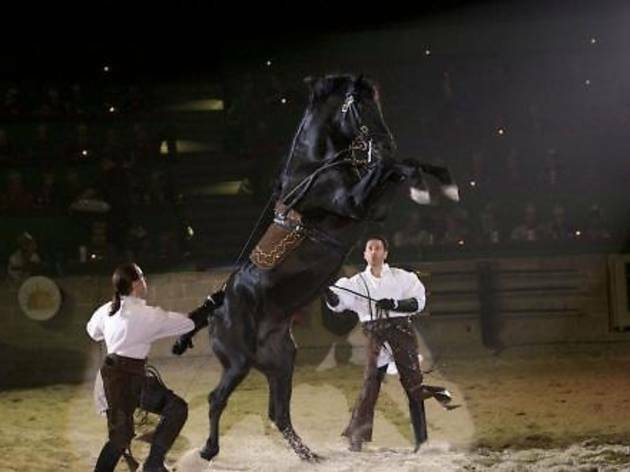 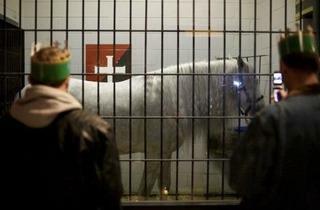 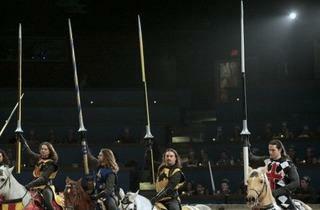 Twenty-five of these handsome steeds live at Medieval Times, though only half perform at one time. 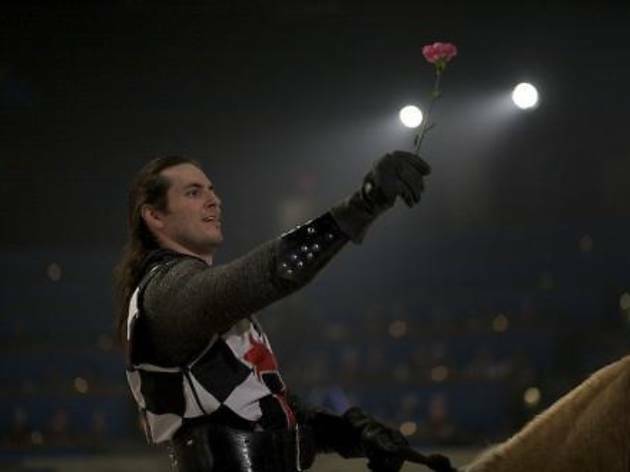 It’s also quickly apparent that the venue employs roughly half of the long-haired men in Cook County, in the roles of the chivalrous champions. 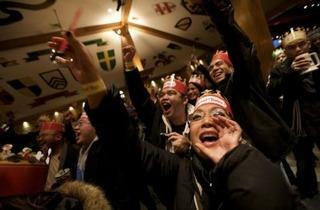 Afterward, everyone’s happy. 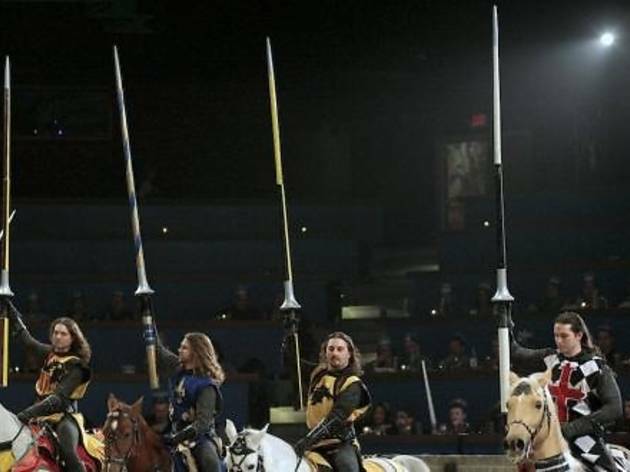 Four-year-old Aaron, who’d been shy two hours ago, is now completely pumped, doing his best to joust with his big brothers by wielding his black-and-white flag like a javelin. 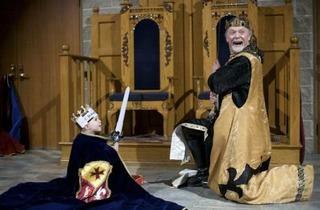 Meanwhile, Isaac admits an early reluctance—“I thought it was gonna be just a regular play”—but it was so much more. 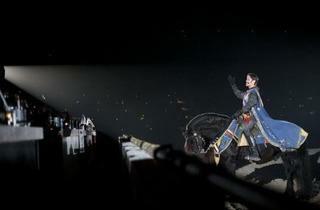 Another thumbs up. 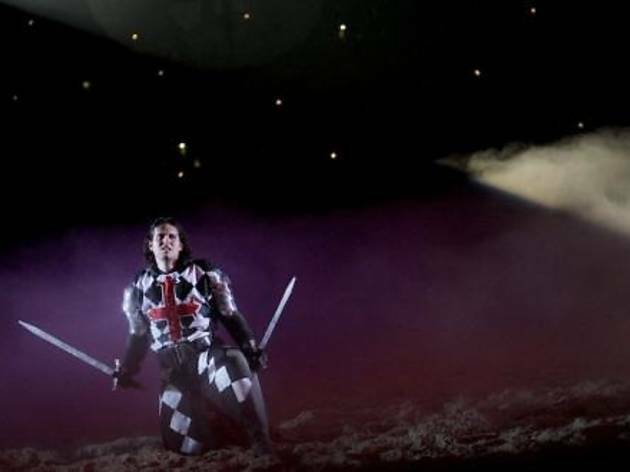 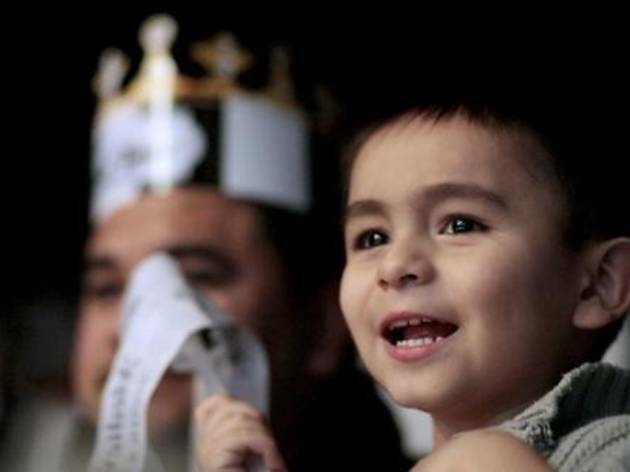 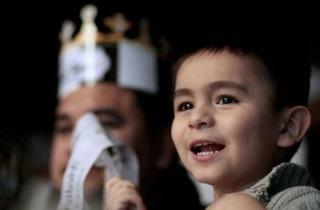 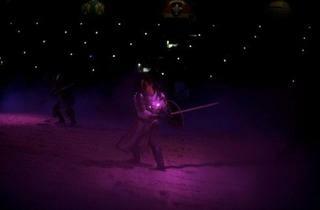 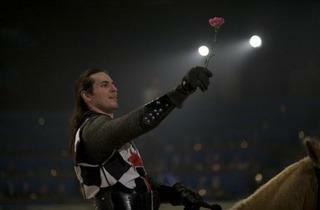 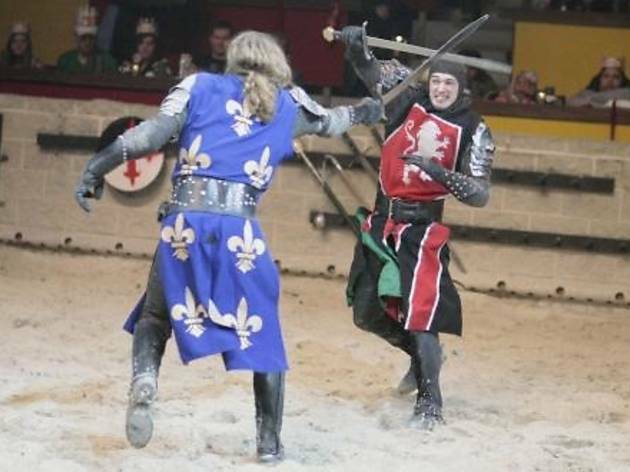 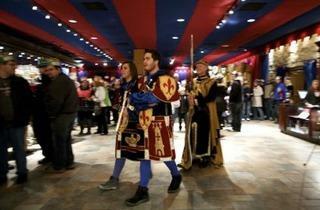 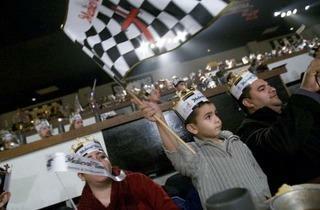 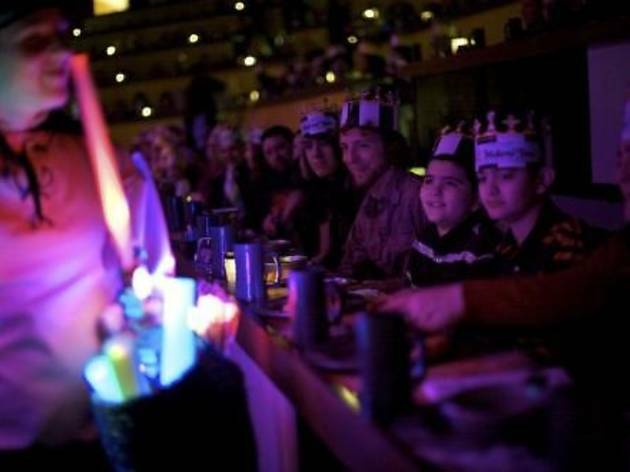 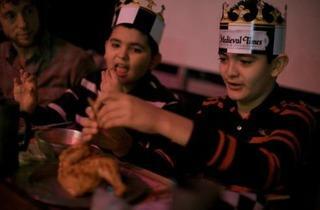 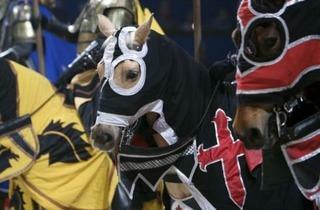 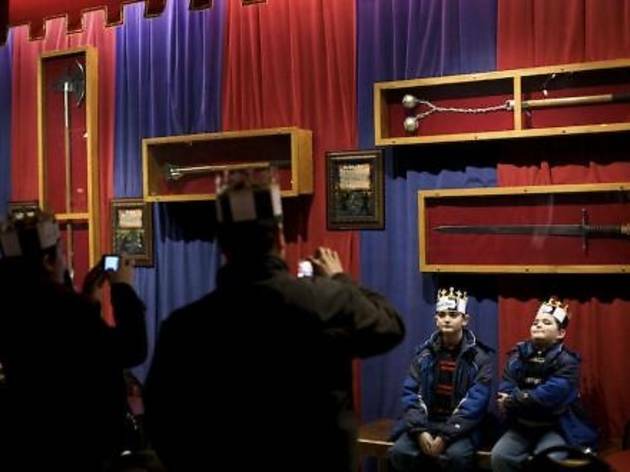 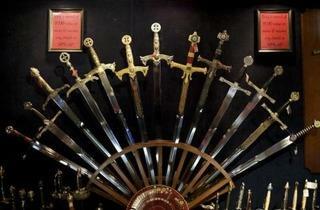 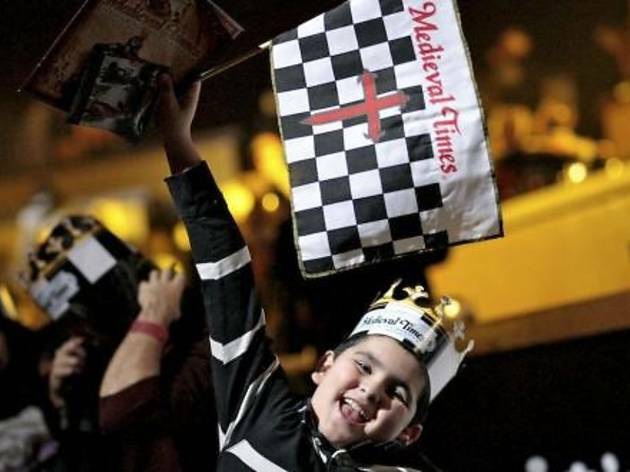 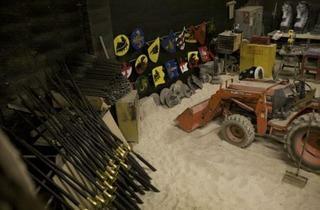 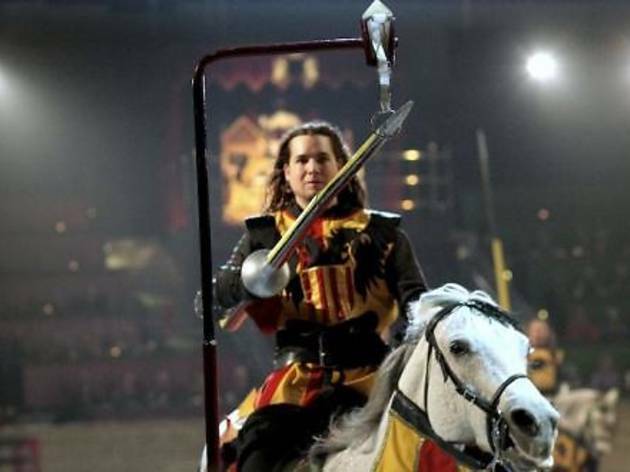 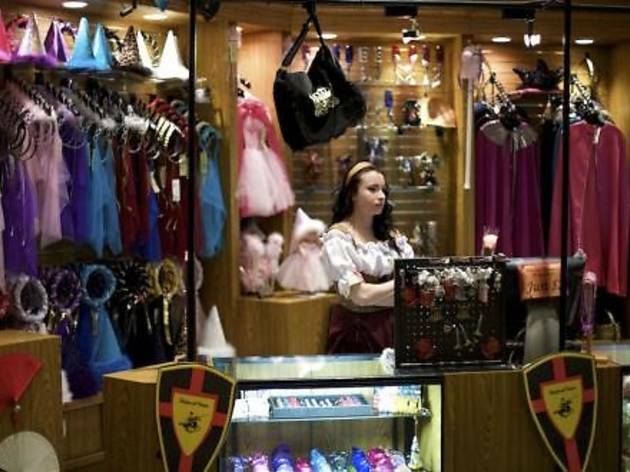 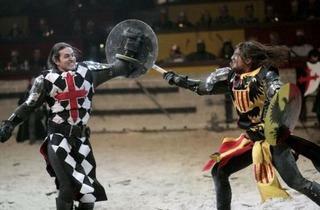 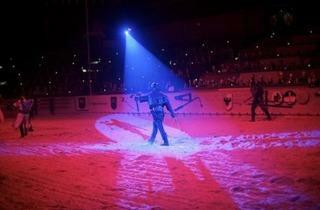 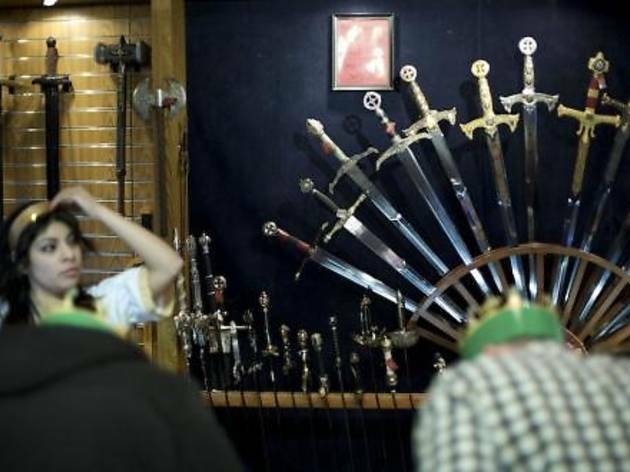 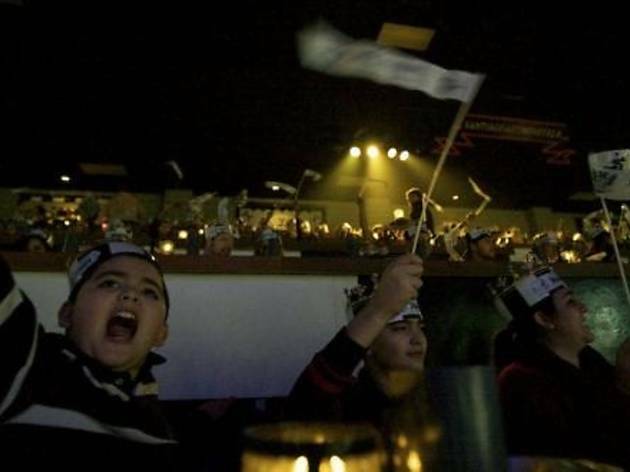 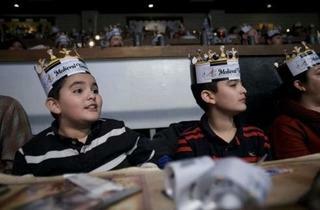 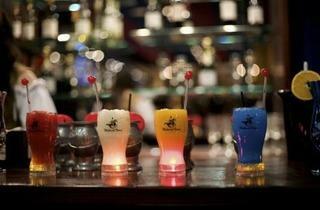 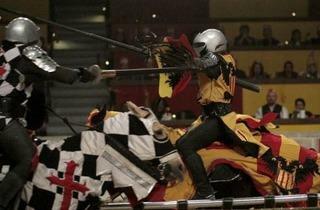 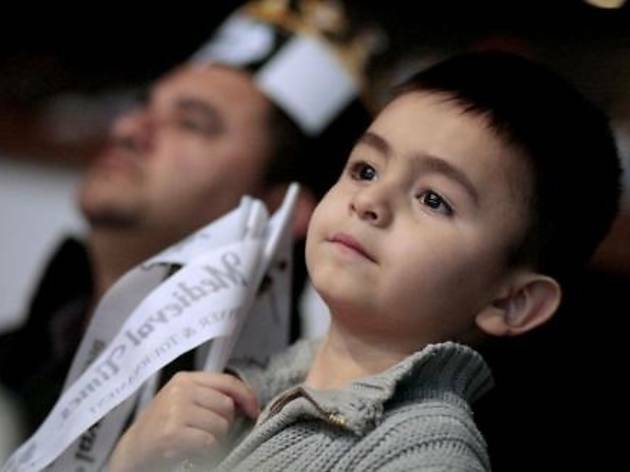 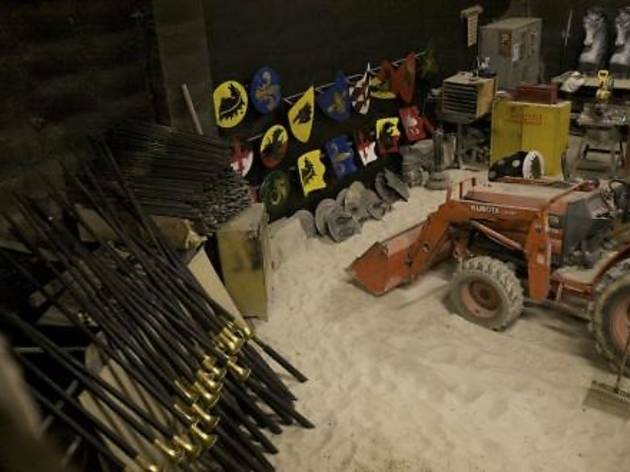 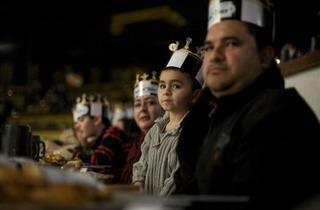 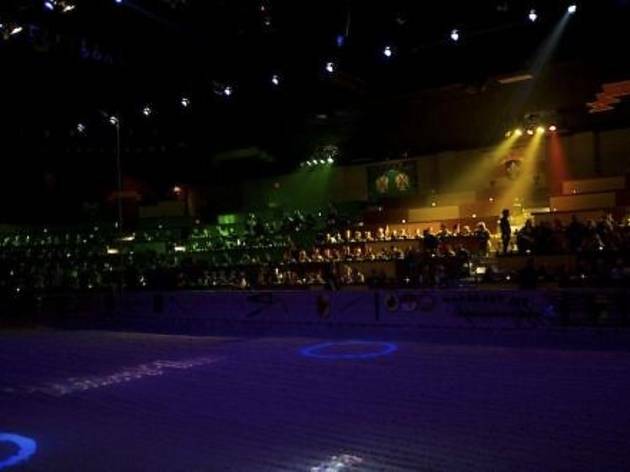 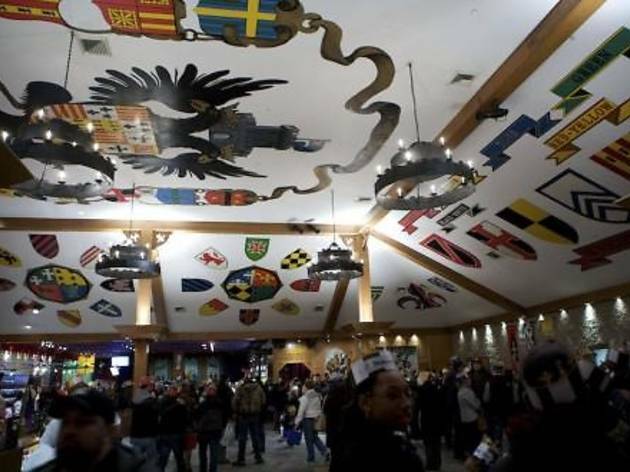 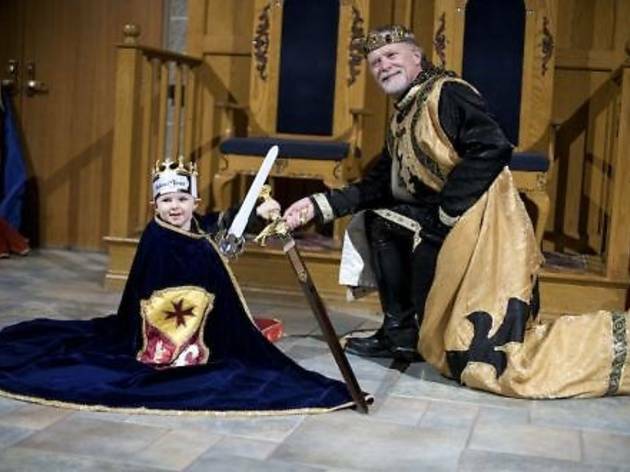 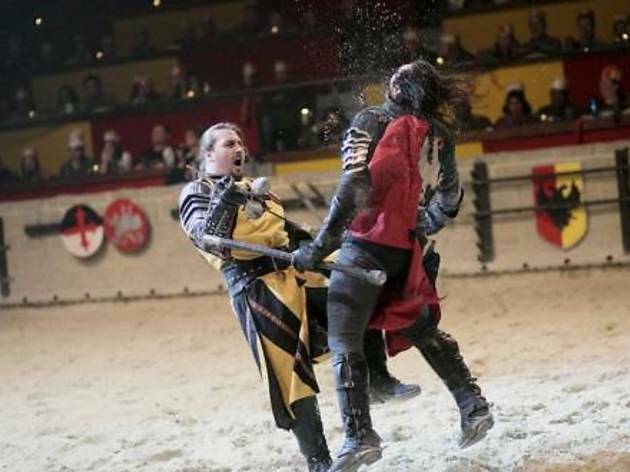 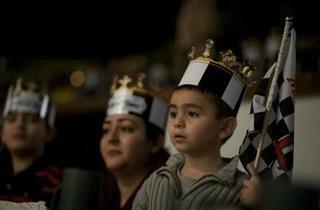 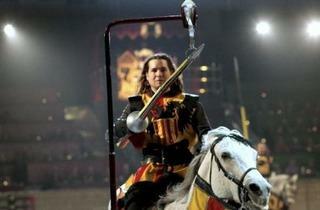 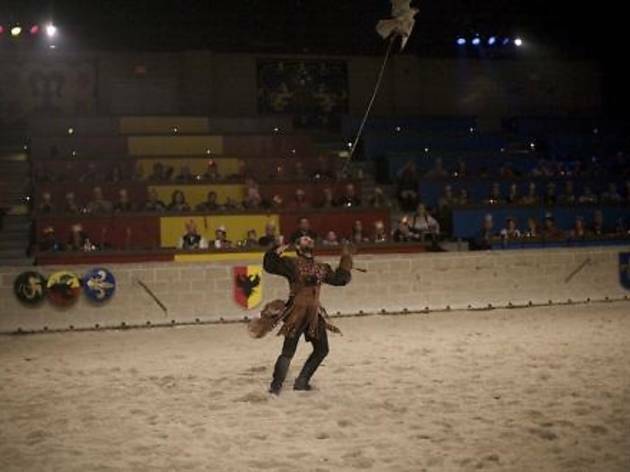 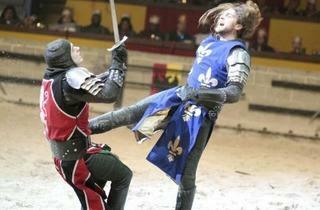 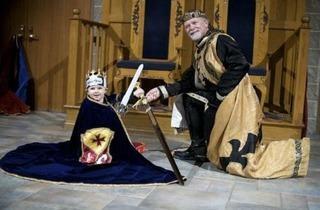 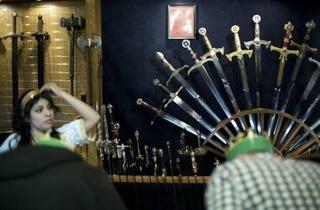 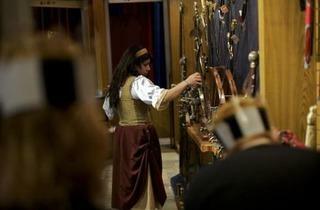 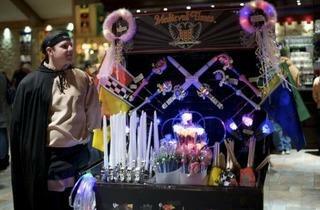 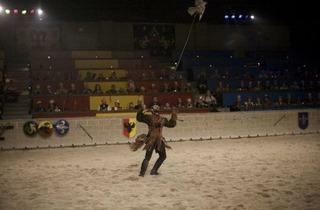 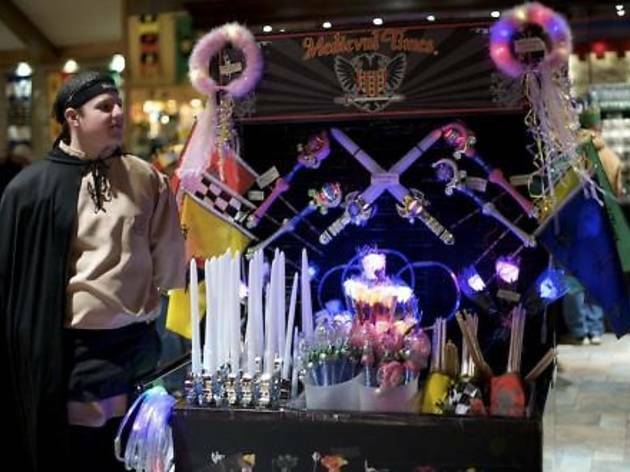 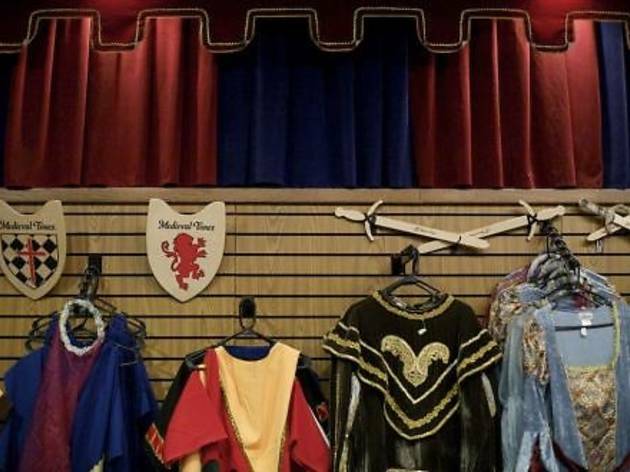 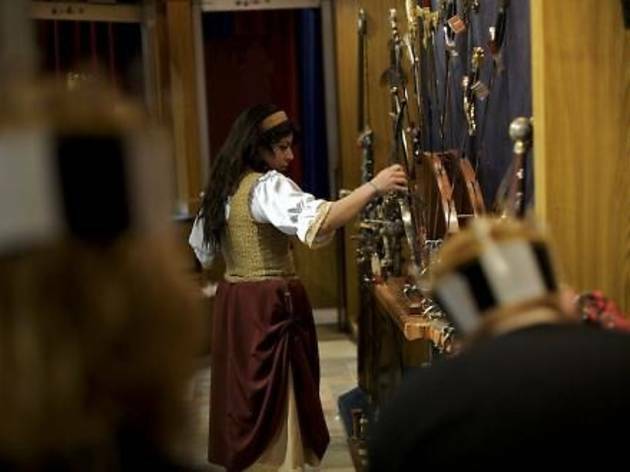 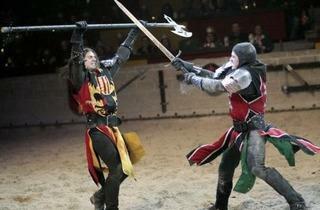 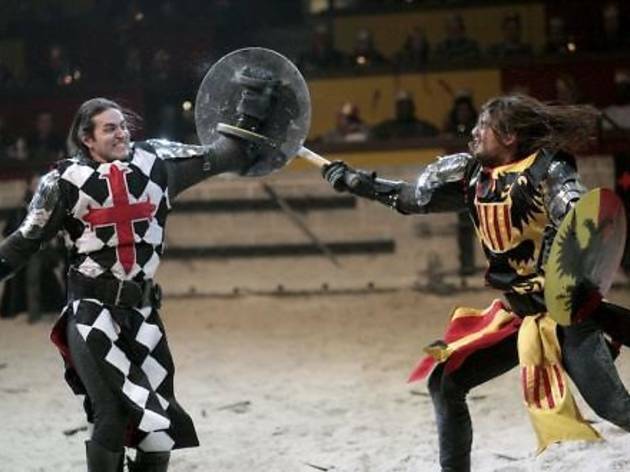 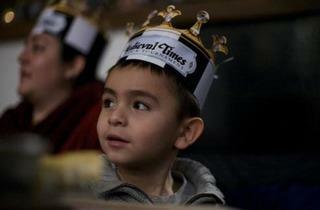 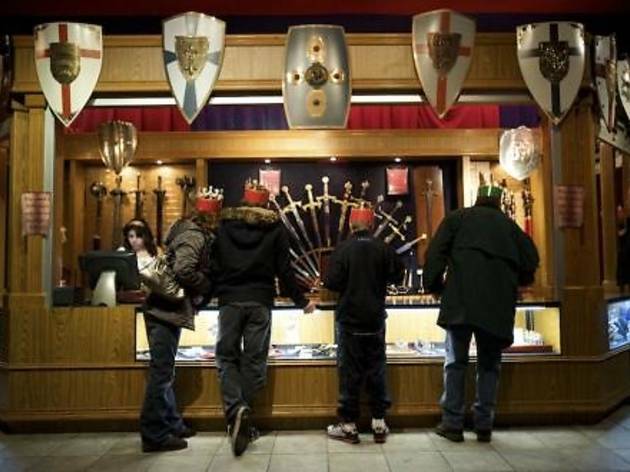 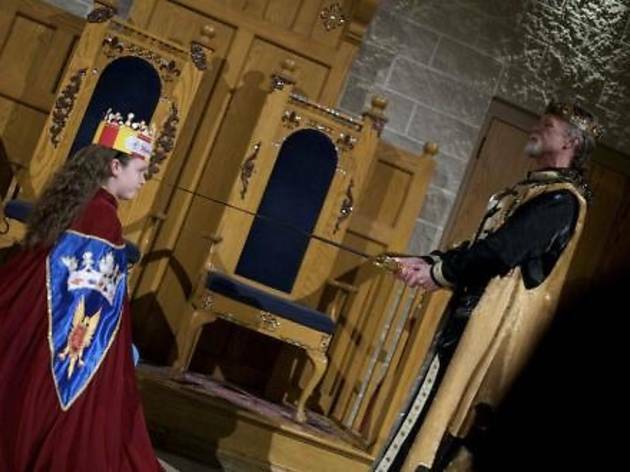 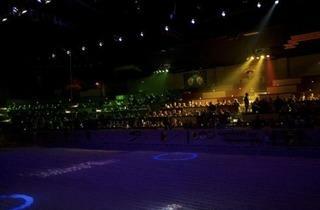 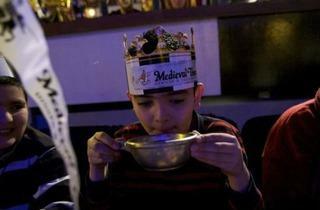 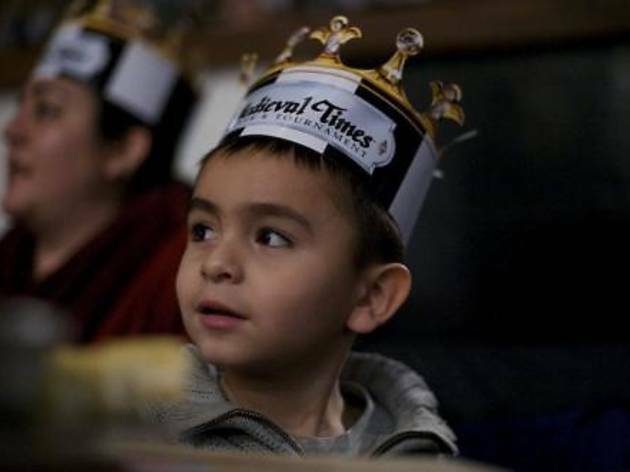 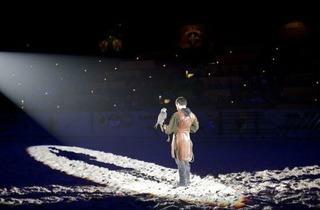 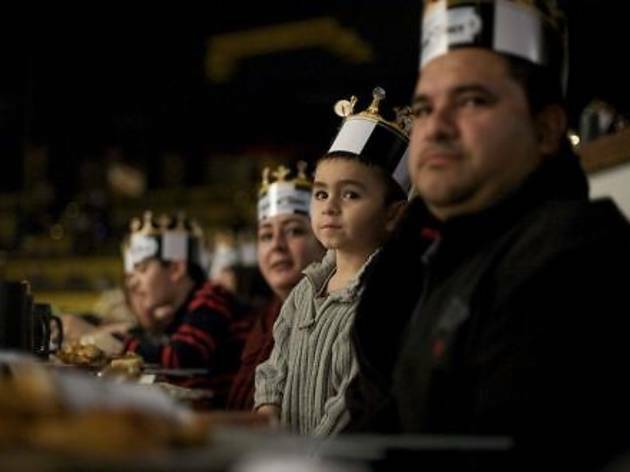 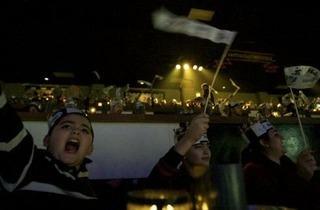 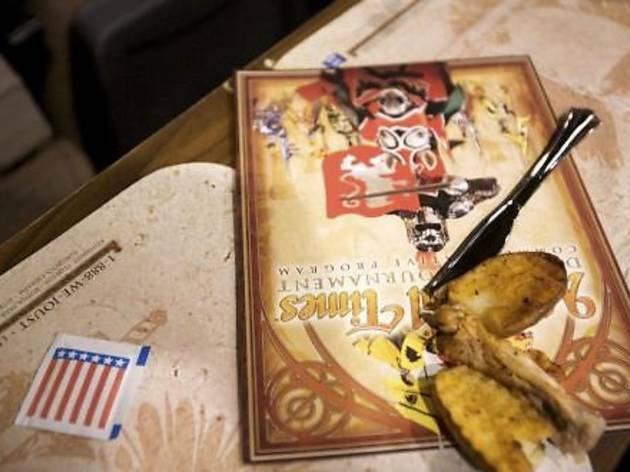 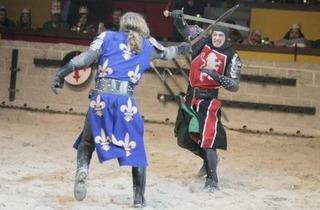 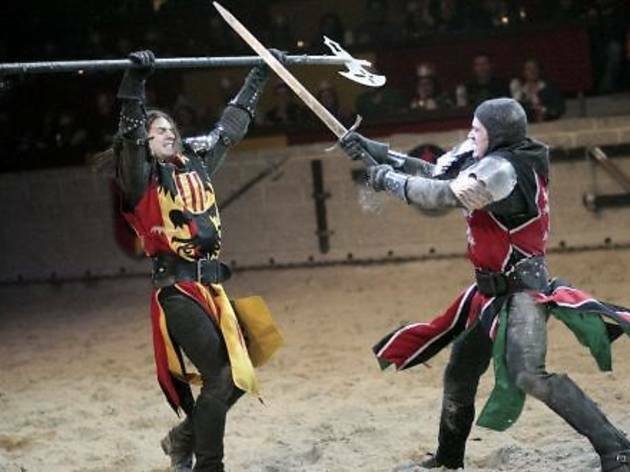 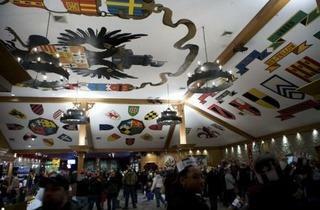 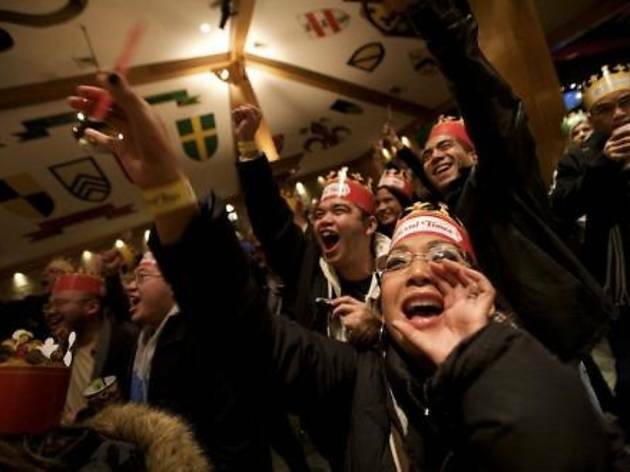 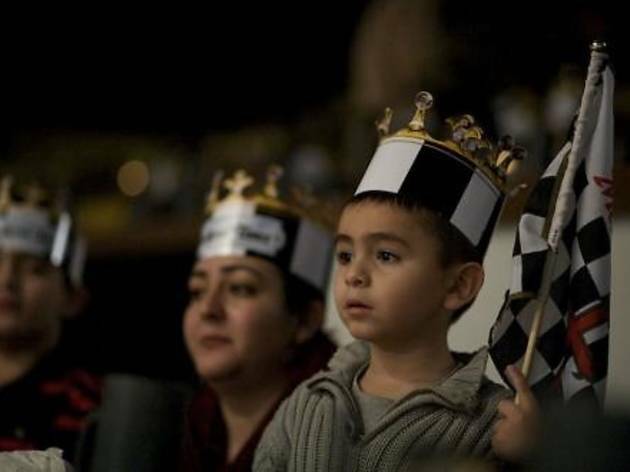 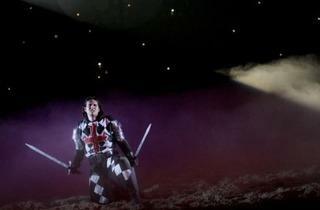 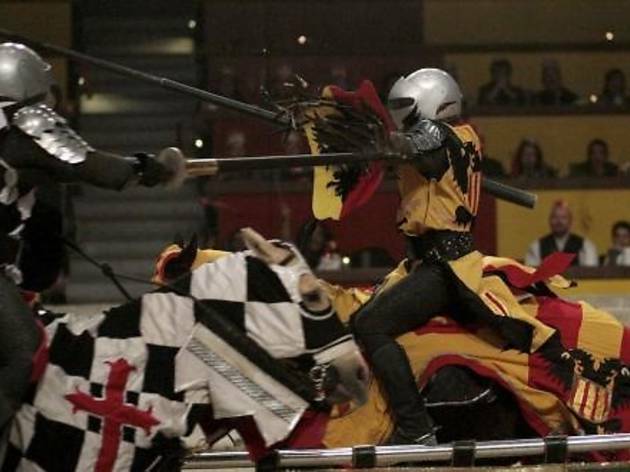 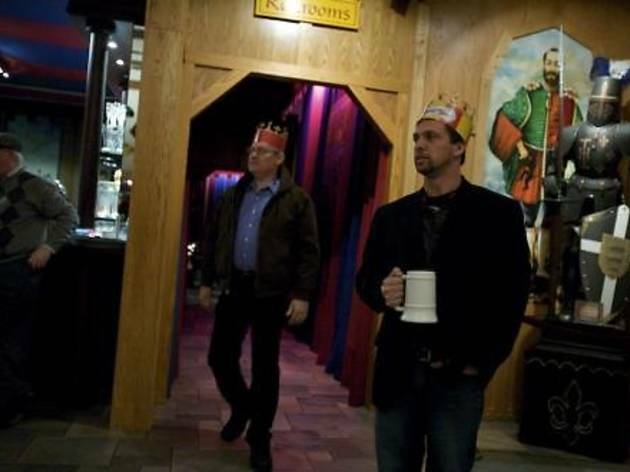 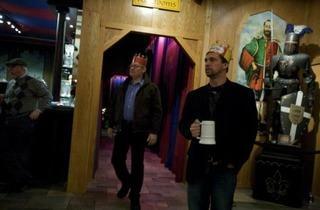 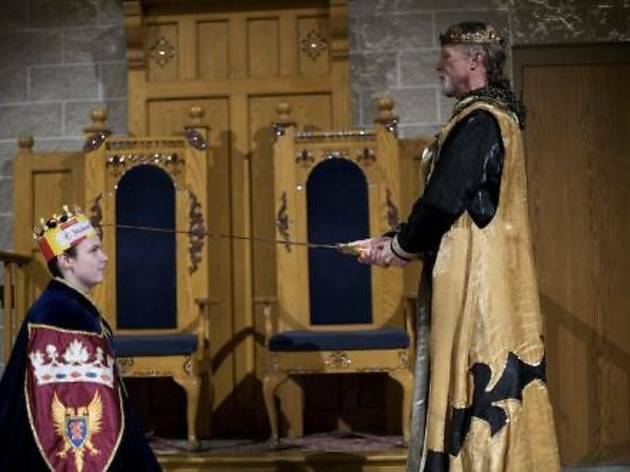 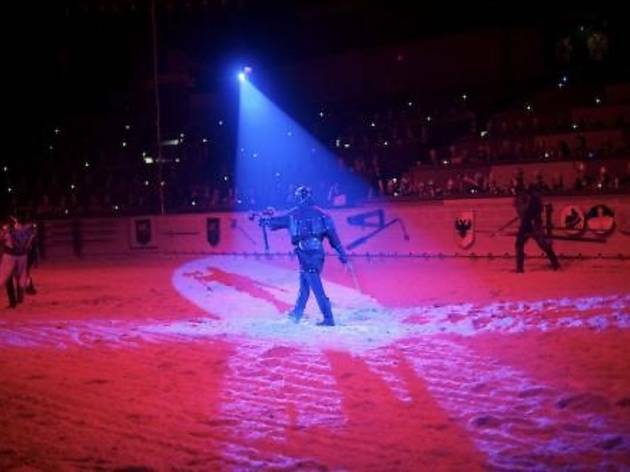 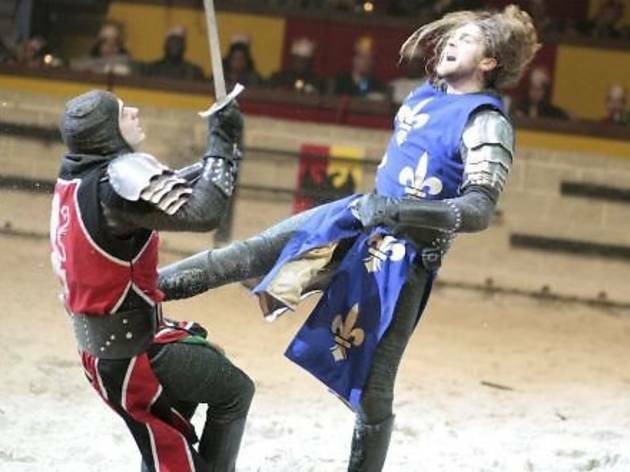 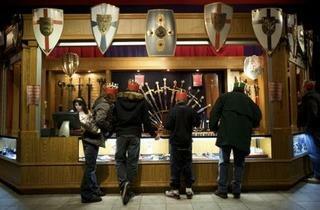 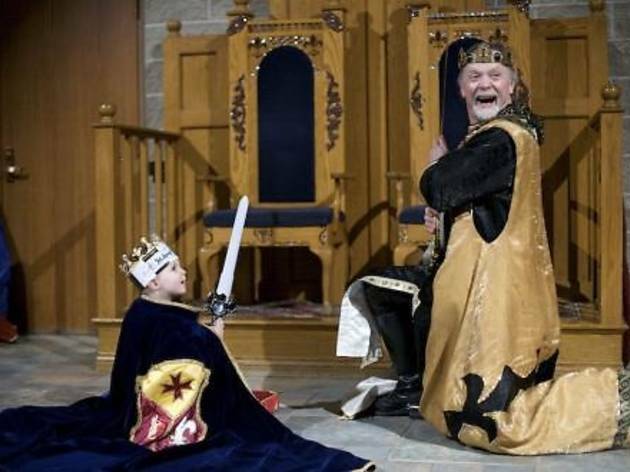 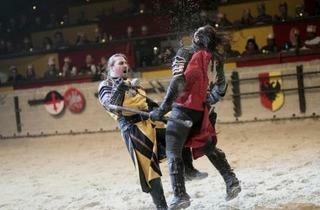 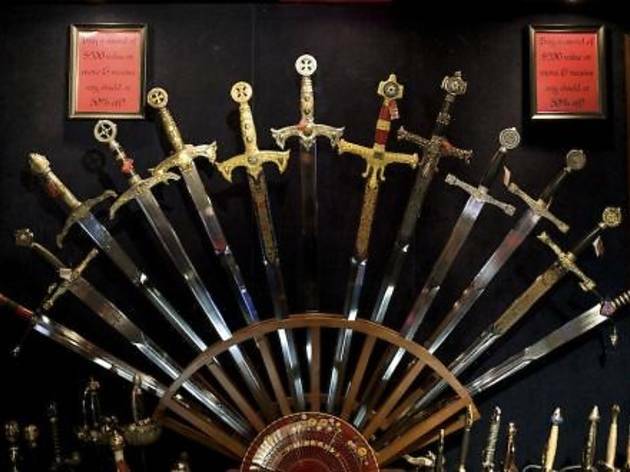 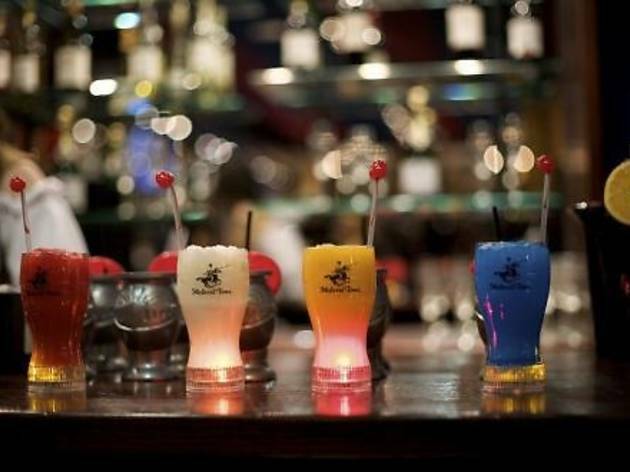 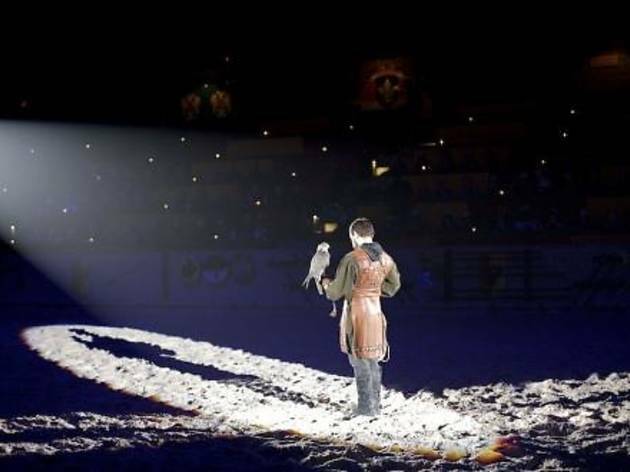 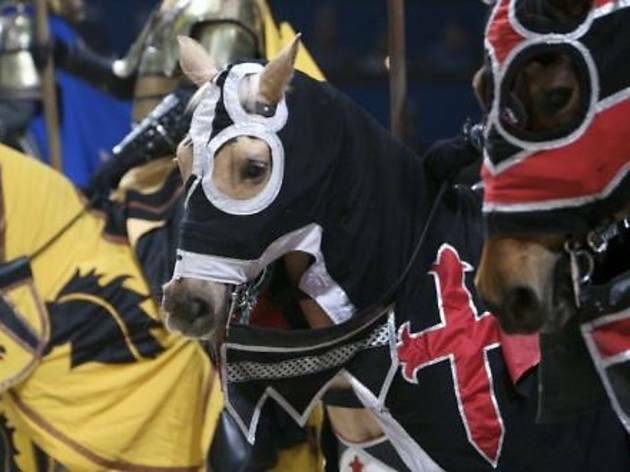 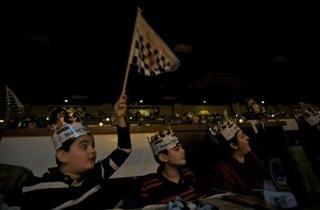 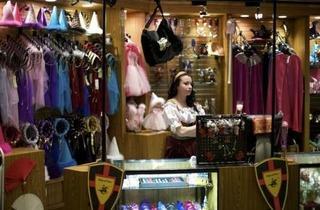 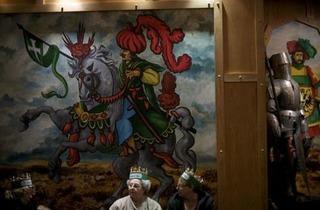 Root for your knight at Medieval Times (2001 N Roselle Rd, Schaumburg; 866-543-9637). 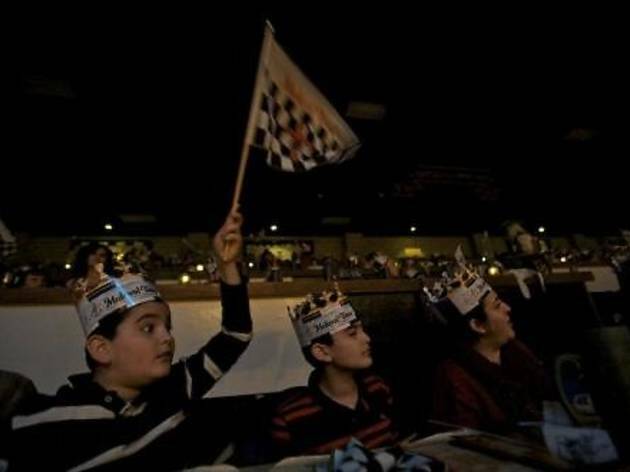 Tickets start at $60, ages 3–12 $36, under 3 free.